The Rollerblade Maxxum 100 Urban Inline Skates are the ultimate hybrid of urban skates offering a combination of superior lateral support, comfortable padded liners, and a versatile wheel setup that can be used for commuting, cruising, or training. The blend of materials and hardware give The Rollerblade Maxxum 100 Urban Inline Skate the mixture of an outstanding skate that will perform with high performance. The vented, molded hard shell provides plenty of support, paired with Premium Specialized 5 Star Fit liners that ensure comfort for all activities. The extruded aluminum frame fits 3x100mm and 1x90mm wheels enabling excellent power transfer, stability, and maneuverability. These skates come with the new Rollerblade Hydrogen Wheels that enhance your rolling experience and produce good speed with the Rollerblade SG9 Bearings. Nice skates but very tight fit. Q: I want to drop down to an 80 wheel. As the 2nd from the front wheel is 10MM smaller than the other 3 will a 72MM work in that spot? And if that is the solution can an individual wheel and bearing be purchased separately or are wheel only sold in 8 packs? I don't want to have to buy and 8 pack of 80's and an 8 pack of 72's if that is the solution to downsizing on the Maxxum 100. A: Technically you'd want to go 80-70-80-80 but 72 shouldn't really be an issue. You are lowering the wheel size quite drastically and will change the performance of the skate, the cornering will be a bit more tedious since you have a longer frame meant for larger wheels and you are adding smaller wheels to it. For the most part wheels are sold in 4 packs or 8 packs but some are sold single from time to time but those are typically higher end more costly wheels. You could contact Customer Service and they could look into special ordering wheels in odd amounts for you but I'm not positive all companies will do this. 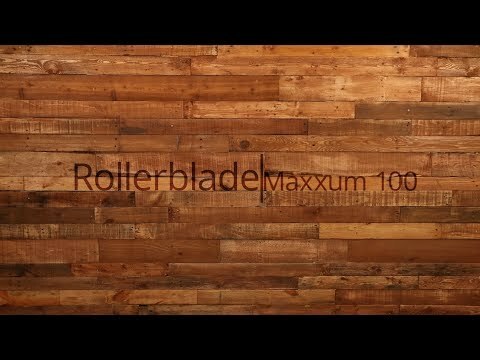 Q: Can you put brakes on Rollerblade Maxxum 100 Inline Skates 2018?? 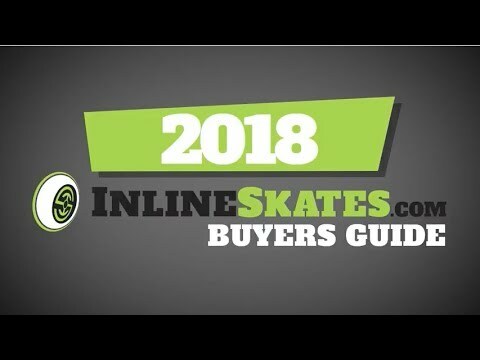 What is the "skate type" for Rollerblade Maxxum 100 Inline Skates 2018?? Is it urban?? A: The Maxxum 100 is still considered an urban style skate thanks to the boot design, and although it has 100mm wheels the frame is still kept fairly short at 305mm so you still have fairly good maneuvering. For true city skating style urban skating I'd probably go with a smaller wheel personally but those skating further distances or looking for speed will love the 100mm wheels. There is a brake included in the box with the Maxxum skates and assembly is a breeze. You just have to remove the rear axle, add the brake mechanism and replace the old axle with the included longer axle and put it all back together. Q: Can you put smaller wheels on these skates? For instance, 76mm, 80mm and etc. A: Yes, going down in wheel size is almost always possible on skates. As long as you stay consistent with the sizing since this skate has staggered sizing you'll be fine, but sounds like you've already thought of that. Q: can I put 4 of the same size wheels on these blades? (for example all 4 90 mm wheels) OR does the 2nd wheel from the front ALWAYS have to be 10 mm smaller per the boot design? A: It is recommended that the wheels be set up in the fashion they are set up. Per Rollerblade on the reasoning behind this "It is a low balance. As this boot has a 165 frame fixation we can not fix a 100 mm wheel second wheel. Otherwise the balance will be too high. For the roll and skating there is no difference. Even better as you are lower." Hopefully this helps! A: Ventilation is going to be the same as the 2015 model. Thanks for pointing out the mix-up, we will update the information to show this correctly. A: These Maxxum 100 skates that you have asked your question on would be a good choice. Although inline skate manufacturers do not release weight limits for their skates, you can feel confident going with a higher end model skate. Especially skates like the Maxxum series, considered to be urban styles skates, which offer a more durable frame and boot set up as they are meant for taking abuse skating around a city setting. There are many skate models though that offer a high performance metal or metal alloy frame, so just be sure to look for this when shopping. Q: Do these skates come in different colors ?